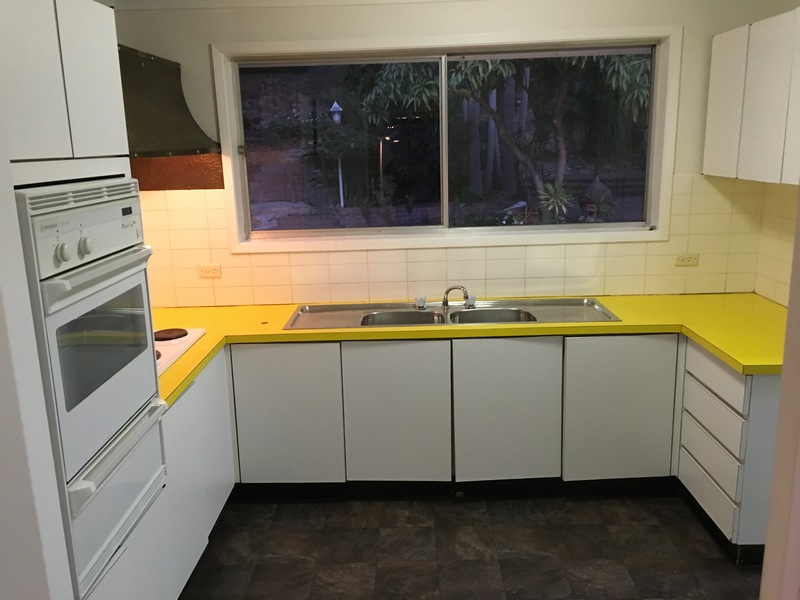 Who doesn’t love a good kitchen Before and After? At Kinsman, we certainly do! 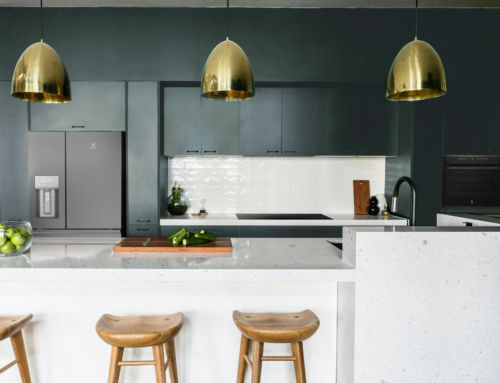 If you’re the owner of an outdated kitchen that makes you think twice about entertaining, you’re probably in the market to renovate. But the worse it is, the more it seems like a huge task.  Kinsman is here to help make your renovation process as simple as possible – and just remember, the more outdated it is to begin with, the more rewarding the end result. 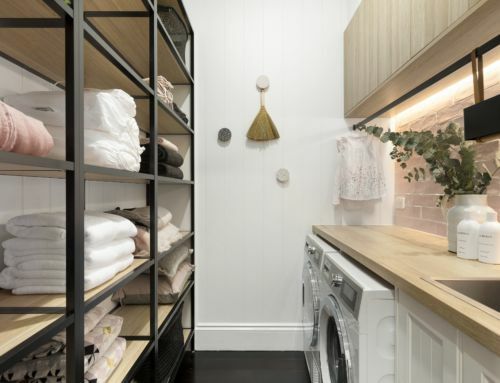 Take this Castlecrag, NSW customer’s kitchen below. Some may look at this Before photo and feel overwhelmed. Here at Kinsman, we see the potential: this space is a diamond in the rough. 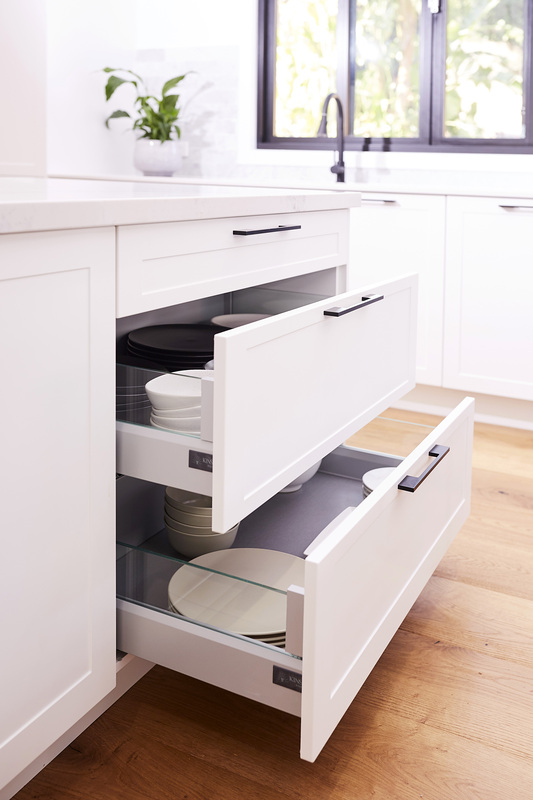 The brief from the customer was to design a fresh, larger kitchen better suited to modern living, to meet the needs of her busy family which includes her husband, three teenage children, plus a dog and a cat. 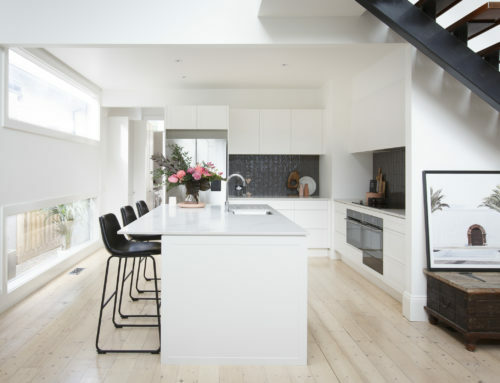 She knew she wanted to change the layout to open plan, add more storage, and accommodate a large, luxe island bench. Creating a kitchen more suitable for entertaining was also important – a space where she could invite the girls to gather in summer over some Aperols. Not surprisingly, the new colour palette was not to include any banana yellow… no matter how bright and cheery that may have been, many moons ago. The solution that Kinsman’s designer came up with utilised her new open floorplan, swapping the old C-shaped layout to an L shape, and placing a luxe stone island bench in the middle to seat four. 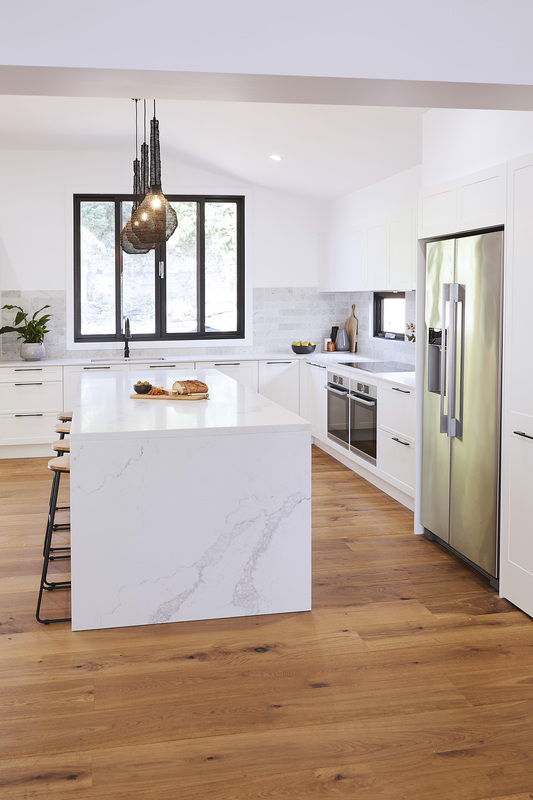 Kinsman’s fresh white Somersby door profile was chosen for the cabinetry, showcasing a modified Shaker look with a modern, yet classic appeal. 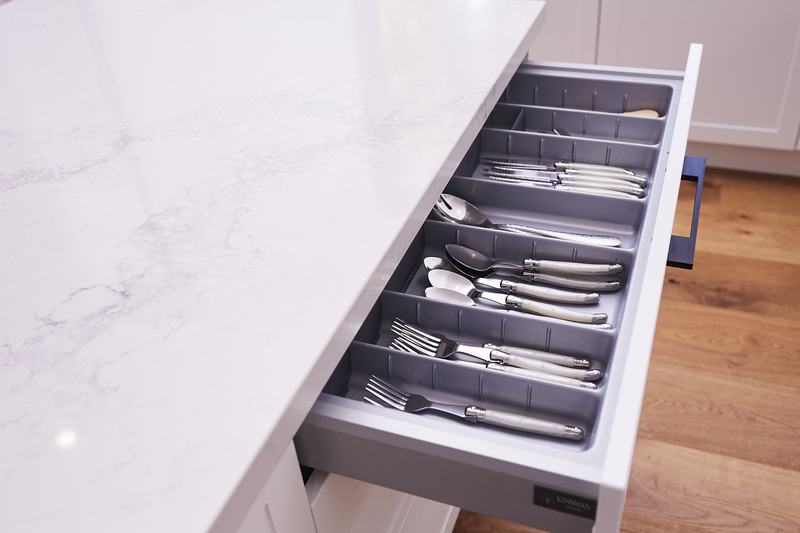 Plentiful additional storage was worked into the design of the lower and overhead cabinetry, as well as the pantry and underneath the island bench. 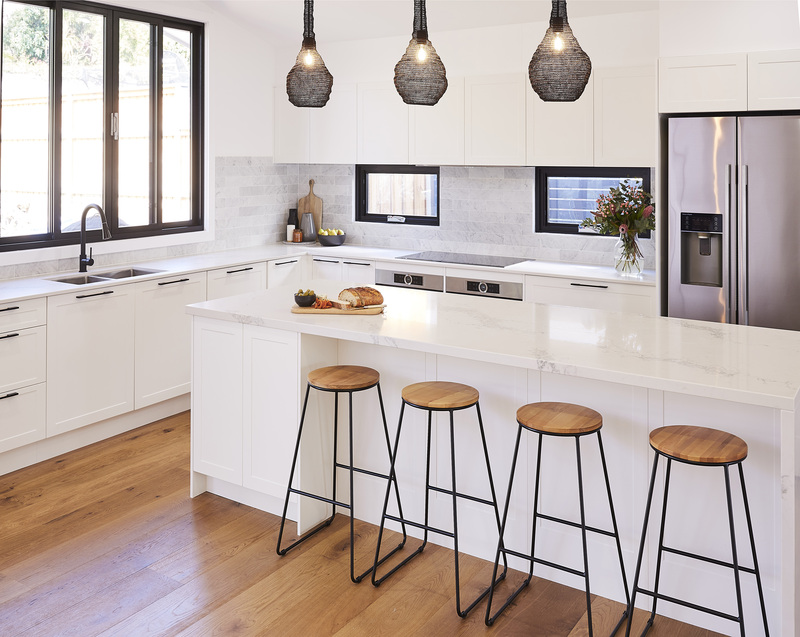 In keeping with the modern luxe look for this family kitchen, matt black bar handles were selected for the lower cabinets and drawers to match the new black window frames, and make a striking contrast against all of the fresh white. 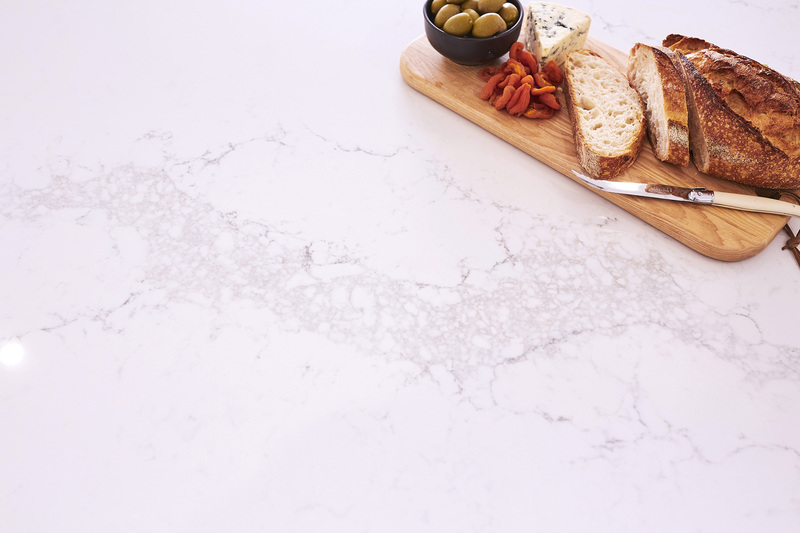 The stunning grey veining in the marble-look stone benchtop complements the marble subway tiles used for the splashback. 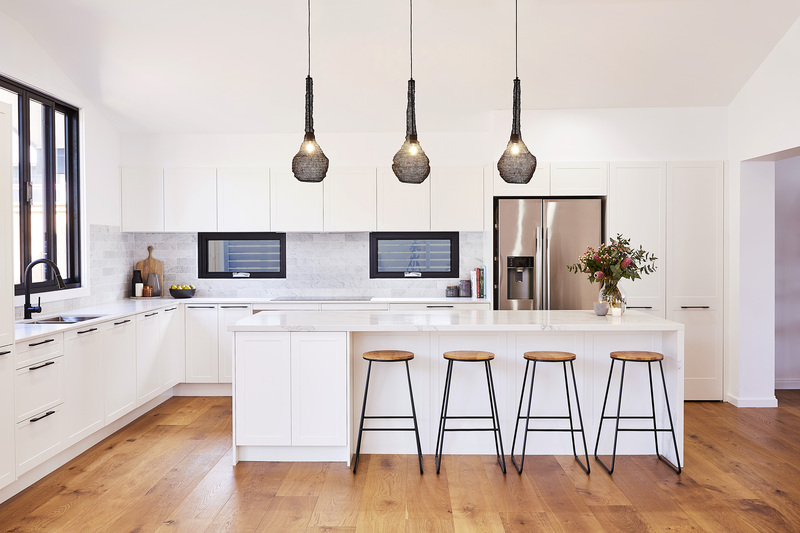 For the finishing touches, styling includes minimalist timber stools to tie in with the floorboards, and three designer pendant lights illuminate this modern luxe kitchen makeover to perfection. 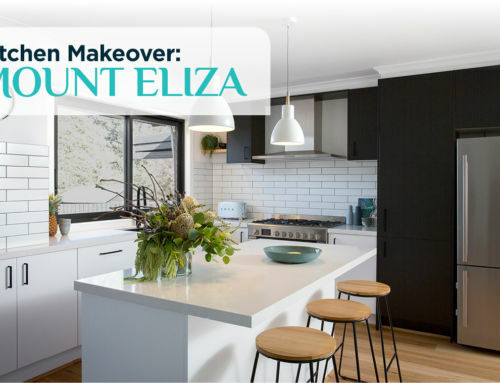 Finding yourself thoroughly inspired to make-over your own outdated kitchen into a modern thing of beauty? Getting started is easy. Simply book an appointment with one of our design experts today.